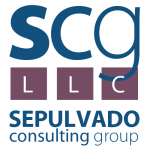 Sepulvado Consulting Group, LLC provides expertise in small business accounting, QuickBooks consulting, and business operations for small to mid-sized businesses and independent professionals. They are Certified Intuit’s Elite Premier Level Reseller and can help with QuickBooks setup and troubleshooting. They also provide assistance with third-party business apps such as Qvinci, Bill.com, TSheets, Unify, Method CRM, Expensify, Finagraph, and Receipt Bank. Work For Sepulvado Consulting Group, LLC? Claim This Page.